Harry Potter author J. K. Rowling probably didn’t mean to conduct a sociology experiment when she published her latest book, a crime novel about a one-legged detective investigating a supermodel’s suicide. But as Duncan Watts, PhD ’97, wrote in an essay for Bloomberg.com in July, that’s pretty much what she did. Rowling published the book, The Cuckoo’s Calling, under a pseudonym; while it got strong reviews, it sold fewer than 1,500 copies. Then its true authorship came to light—and it rocketed to the top of the bestseller lists. ‘I’ve spent my whole life doing what other people aren’t doing. 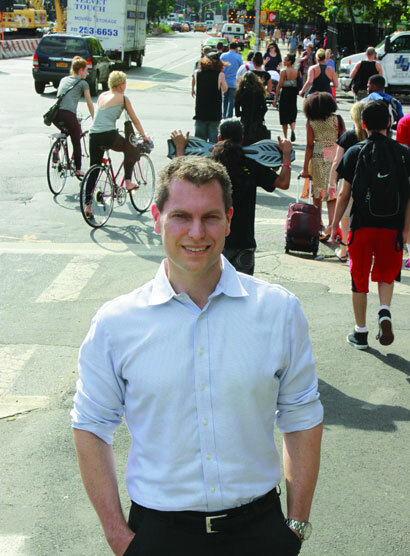 I pretty much always gravitate to the crack between the stools.’After a couple of years in the Navy, Watts applied to graduate school, winning a Fulbright to study theoretical and applied mechanics at Cornell. (He was eventually able to avoid returning to military service by reimbursing the government for his training costs.) On the Hill, he worked under Strogatz on a project that started with how networks of tree crickets synchronize their chirps, and wound up as a career maker. In work that essentially served as a roadmap for modern network science, Watts and Strogatz cracked what’s known as the “small world” or “six degrees” problem—why, even in a system as large as the population of the Earth, a relative handful of connections unites us all. In the paper—”Collective Dynamics of ‘Small-World’ Networks,” published in Nature in June 1998—the researchers demonstrated the “six degrees” phenomenon in three disparate systems: the power grid of the western U.S., the neural network of the worm C. elegans, and collaborations among actors on the Internet Movie Database. In 1519, shortly before he died, the Italian artist, scientist, and inventor Leonardo da Vinci put the finishing touches on a portrait of a young Florentine woman, Lisa Gherardini del Giocondo, whose husband, a wealthy silk merchant, had commissioned the painting sixteen years earlier to celebrate the birth of their son. By the time he finished it, Leonardo had moved to France at the invitation of King François I, who eventually purchased the painting; thus apparently neither Ms. del Giocondo nor her husband ever got the chance to view Leonardo’s handiwork. Which is a pity really, because five hundred years later that painting has made her face about the most famous face in all of history. The painting, of course, is the Mona Lisa, and for those who have lived their entire lives in a cave, it now hangs in a bulletproof, climate-controlled case on a wall all by itself in the Musée du Louvre in Paris. Louvre officials estimate that nearly 80 percent of their six million visitors each year come primarily to see it. Its current insurance value is estimated at nearly $700 million—far in excess of any painting ever sold—but it is unclear that any price could be meaningfully assigned to it. The Mona Lisa, it seems fair to say, is more than just a painting—it is a touchstone of Western culture. It has been copied, parodied, praised, mocked, co-opted, analyzed, and speculated upon more than any other work of art. Its origins, for centuries shrouded in mystery, have captivated scholars, and its name has leant itself to operas, movies, songs, people, ships—even a crater on Venus. Knowing all this, a naïve visitor to the Louvre might be forgiven for experiencing a sense of, well, disappointment upon first laying eyes on the most famous painting in the world. To start with, it is surprisingly small. And being enclosed in that bulletproof box, and invariably surrounded by mobs of picture-snapping tourists, it is irritatingly difficult to see. So when you do finally get up close, you’re really expecting something special—what the art critic Kenneth Clark called “the supreme example of perfection,” which causes viewers to “forget all our misgivings in admiration of perfect mastery.” Well, as they say, I’m no art critic. But when, on my first visit to the Louvre several years ago, I finally got my chance to bask in the glow of perfect mastery, I couldn’t help wondering about the three other da Vinci paintings I had just walked by in the previous chamber, and to which nobody seemed to be paying the slightest attention. As far as I could tell, the Mona Lisa looked like an amazing accomplishment of artistic talent, but no more so than those other three. In fact, if I hadn’t already known which painting was the famous one, I doubt that I could have picked it out of a lineup. For that matter, if you had put it in with any number of the other great works of art on display at the Louvre, I’m quite positive it wouldn’t have jumped out at me as the obvious contender for most-famous-painting award. Now, Kenneth Clark might well reply that that’s why he’s the art critic and I’m not—that there are attributes of mastery that are evident only to the trained eye, and that neophytes like me would do better simply to accept what we’re told. OK, fair enough. But if that’s true, you would expect that the same perfection that is obvious to Clark would have been obvious to other art experts throughout history. And yet, as the historian Donald Sassoon relates in his illuminating biography of the Mona Lisa, nothing could be further from the case. For centuries, the Mona Lisa was a relatively obscure painting languishing in the private residences of kings—still a masterpiece, to be sure, but only one among many. Even when it was moved to the Louvre, after the French Revolution, it did not attract as much attention as the works of other artists, like Esteban Murillo, Antonio da Correggio, Paolo Veronese, Jean-Baptiste Greuze, and Pierre Paul Prud’hon, names that for the most part are virtually unheard of today outside of art history classes. And admired as he was, up until the 1850s, da Vinci was considered no match for the true greats of painting, like Titian and Rafael, some of whose works were worth almost ten times as much as the Mona Lisa. In fact, it wasn’t until the twentieth century that the Mona Lisa began its meteoric rise to global brand name. And even then it wasn’t the result of art critics suddenly appreciating the genius that had sat among them for so long, nor was it due to the efforts of museum curators, socialites, wealthy patrons, politicians, or kings. Rather, it all began with a burglary. On August 21, 1911, a disgruntled Louvre employee named Vincenzo Peruggia hid in a broom closet until closing time and then walked out of the museum with the Mona Lisa tucked under his coat. A proud Italian, Peruggia apparently believed that the Mona Lisa ought rightly to be displayed in Italy, not France, and he was determined to repatriate the long-lost treasure personally. Like many art thieves, however, Peruggia discovered that it was much easier to steal a famous work of art than to dispose of it. After hiding it in his apartment for two years, he was arrested while attempting to sell it to the Uffizi Gallery in Florence. But although he failed in his mission, Peruggia succeeded in catapulting the Mona Lisa into a new category of fame. The French public was captivated by the bold theft and electrified by the painting’s unexpected recovery. The Italians, too, were thrilled by the patriotism of their countryman, and treated Peruggia more like a hero than a criminal—before the Mona Lisa was returned to its French owner, it was shown all over Italy. From that point on, the Mona Lisa never looked back. The painting was to be the object of criminal activity twice more—first, when a vandal threw acid on it, and then when a young Bolivian, Ugo Ungaza Villegas, threw a rock at it. 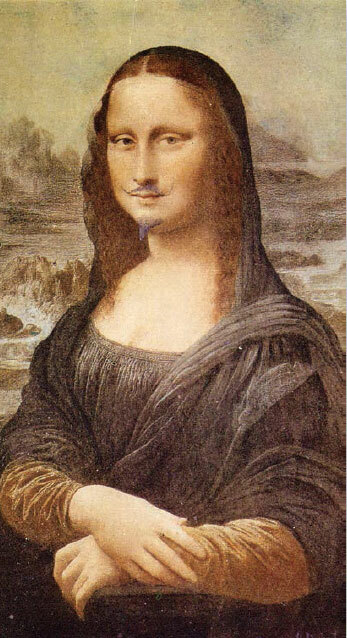 But primarily it became a reference point for other artists—most famously in 1919, when the Dadaist Marcel Duchamp parodied the painting and poked fun at its creator by adorning a commercial reproduction with a mustache, a goatee, and an obscene inscription. Salvador Dalí and Andy Warhol followed suit with their own interpretations, and so did many others—in all, it has been copied hundreds of times and incorporated into thousands of advertisements. As Sassoon points out, all these different people—thieves, vandals, artists, and advertisers, not to mention musicians, moviemakers, and even NASA (remember the crater on Venus? )—were using the Mona Lisa for their own purposes: to make a point, to increase their own fame, or simply to use a label they felt would convey meaning to other people. But every time they used the Mona Lisa, it used them back, insinuating itself deeper into the fabric of Western culture and the awareness of billions of people. It is impossible now to imagine the history of Western art without the Mona Lisa, and in that sense it truly is the greatest of paintings. But it is also impossible to attribute its unique status to anything about the painting itself. This last point presents a problem because when we try to explain the success of the Mona Lisa, it is precisely its attributes on which we focus our attention. If you’re Kenneth Clark, you don’t need to know anything about the circumstances of the Mona Lisa’s rise to fame to know why it happened—everything you need to know is right there in front of you. To oversimplify only slightly, the Mona Lisa is the most famous painting in the world because it is the best, and although it might have taken us a while to figure this out, it was inevitable that we would. 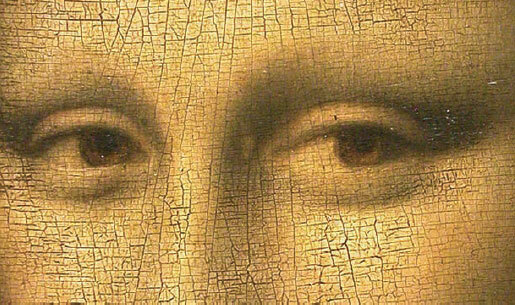 And that’s why so many people are puzzled when they first actually set eyes on the Mona Lisa. They’re expecting these intrinsic qualities to be apparent, and they’re not. Of course, most of us, when faced with this moment of dissonance, simply shrug our shoulders and assume that somebody wiser than us has seen things we can’t see. And yet as Sassoon deftly but relentlessly lays out, whatever attributes the experts cite as evidence—the novel painting technique that Leonardo employed to produce so gauzy a finish, the mysterious subject, her enigmatic smile, even da Vinci’s own fame—one can always find numerous other works of art that would seem as good, or even better. Of course, one can always get around this problem by pointing out that it’s not any one attribute of the Mona Lisa that makes it so special, but rather the combination of all its attributes—the smile, and the use of light, and the fantastical background, and so on. There’s actually no way to beat this argument, because the Mona Lisa is of course a unique object. No matter how many similar portraits or paintings some pesky skeptic drags out of the dustbin of history, one can always find some difference between them and the one that we all know is the deserving winner. Unfortunately, however, this argument wins only at the cost of eviscerating itself. It sounds as if we’re assessing the quality of a work of art in terms of its attributes, but in fact we’re doing the opposite—deciding first which painting is the best, and only then inferring from its attributes the metrics of quality. Subsequently, we can invoke these metrics to justify the known outcome in a way that seems rational and objective. But the result is circular reasoning. We claim to be saying that the Mona Lisa is the most famous painting in the world because it has attributes X, Y, and Z. But really what we’re saying is that the Mona Lisa is famous because it’s more like the Mona Lisa than anything else. 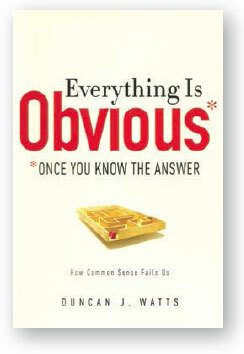 Reprinted from the book Everything Is Obvious: Once You Know the Answer by Duncan J. Watts. Copyright © 2011 by Duncan Watts. Published by Crown Business, an imprint of the Crown Publishing Group, a division of Random House LLC, a Penguin Random House Company. Used by permission.